At the very end of the year, we have prepared a little surprise for users of the Apple products. 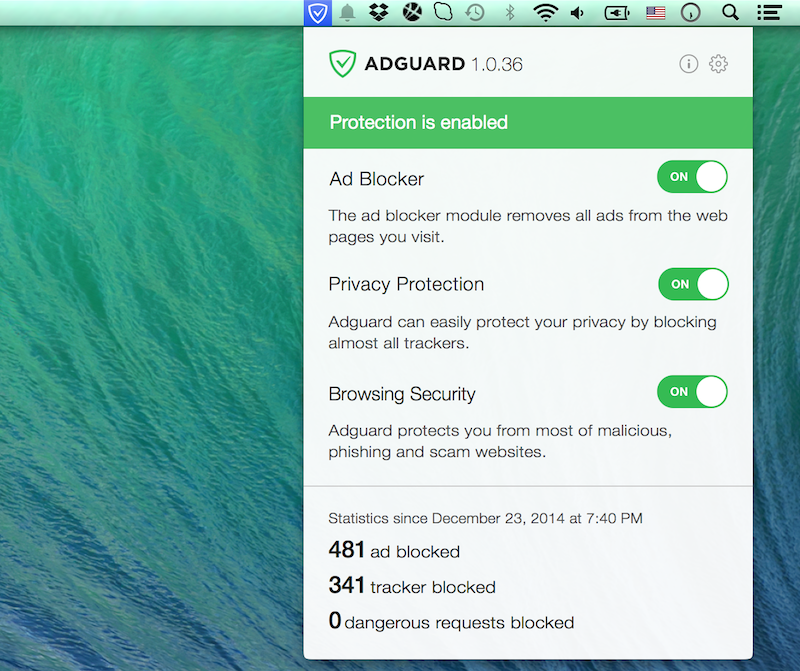 All year we have been working on a standalone Adguard version for Mac OS X. Finally, we are ready to start its beta test! What can this beta version do? 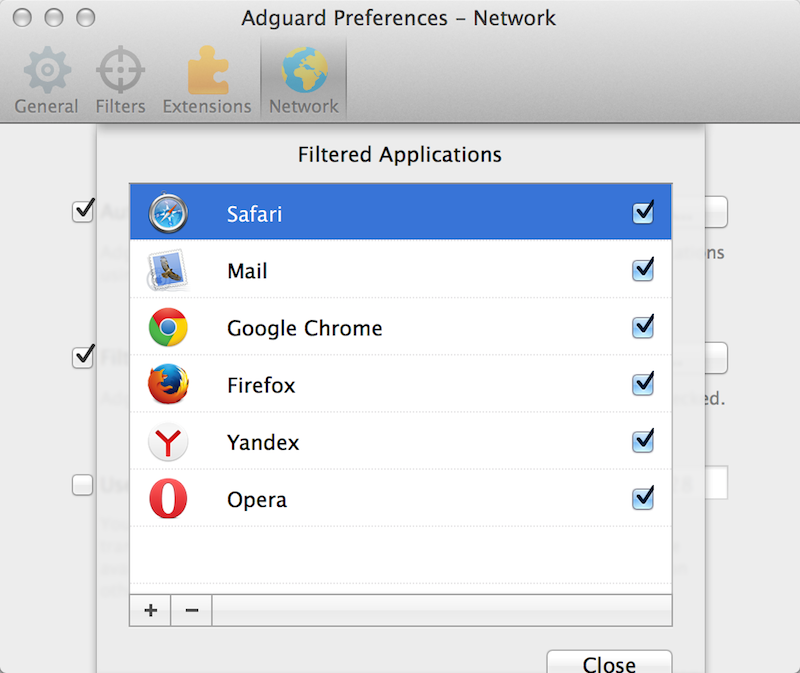 Adguard for Mac provides almost all the same capabilities that Adguard Windows-version has. You can set up the list of applications, which traffic Adguard will filter. 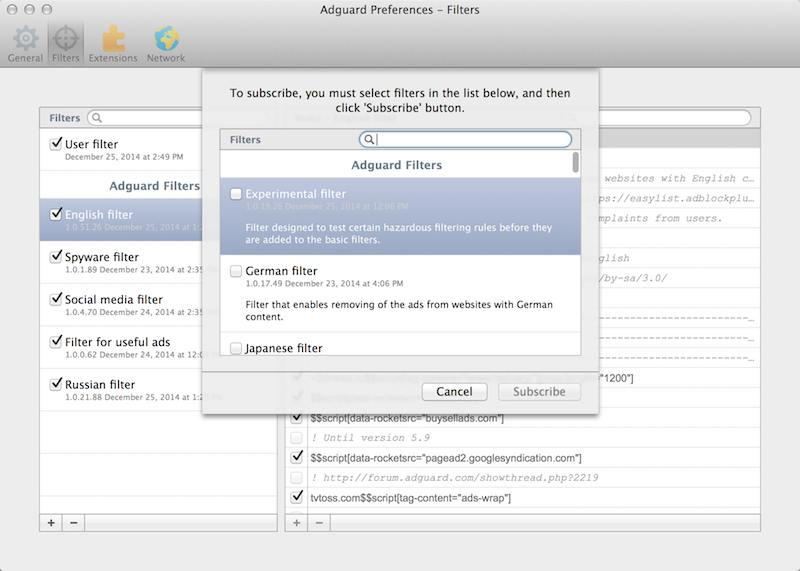 You can choose from the same ad filters as in Adguard for Windows. You can selectively enable or disable the filtering rules in the main filters, as well as add rules to your own user filter. As for Mac OS, computer viruses are not such a serious problem here. But phishing and malicious websites can still harm your Mac. Our phishing filter contains nearly 2 million websites, so you can be sure about your online safety. 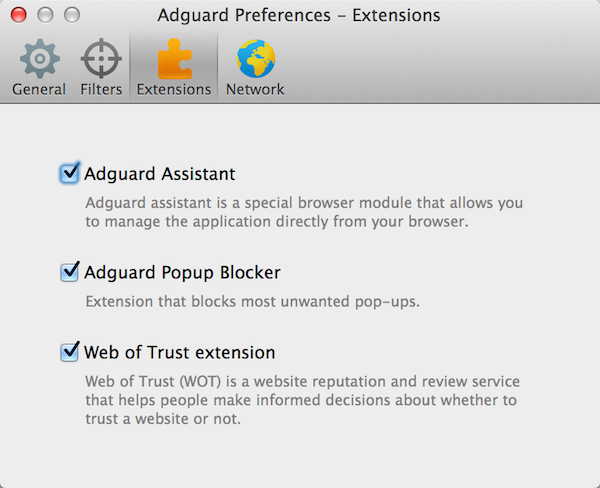 Adguard for Mac includes several additional extensions. If you used the Windows version, you know what we are talking about. Adguard Assistant extension allows you to select and block any element on the page, whether it is an ad banner or some element that is just annoying for you. Web of Trust extension warns you about websites with low reputation, relying on its huge database. Our work on the Mac version is not yet complete. We are planning to add a Parental Control module soon and fix many defects, which the beta testers will certainly find. In the meantime we welcome all those who would like to take part in beta testing of Adguard for Mac! You can find more information about participation in this beta test on our Forum. Today we would like to introduce the new update of Adguard 5.10. We have released significant update of Adguard browser extensions for Chrome, Opera, Firefox and Yandex.Browser.